This weekend my brother and sister in law were in town from WA State. They stayed with us and it was such a fun weekend. I can’t wait for them to come back in June with all their kids. 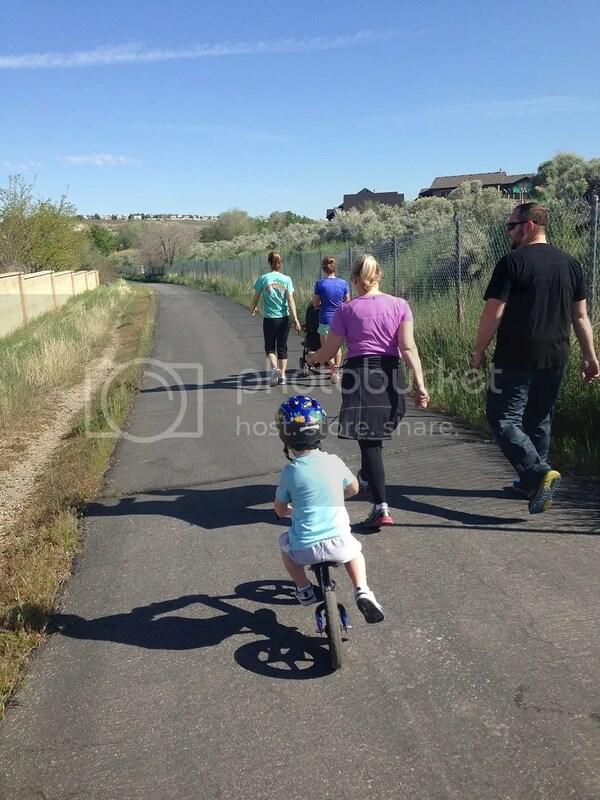 Friday morning my mom, little sister Bree, and J showed them a trail near our house. It was such a beautiful morning. Then we headed to Cafe Rio for lunch, it was delicious! They headed to the first wedding of the weekend, then my whole family(that’s here in UT)headed to the first reception of the weekend. 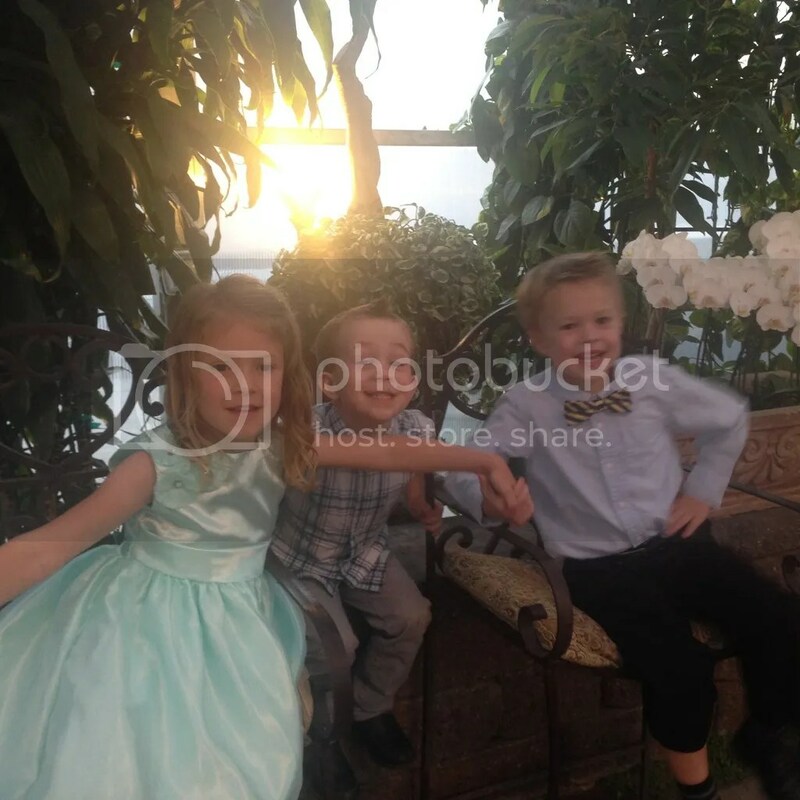 J and his cousins had a blast running around and sneaking all the wedding desserts they could. 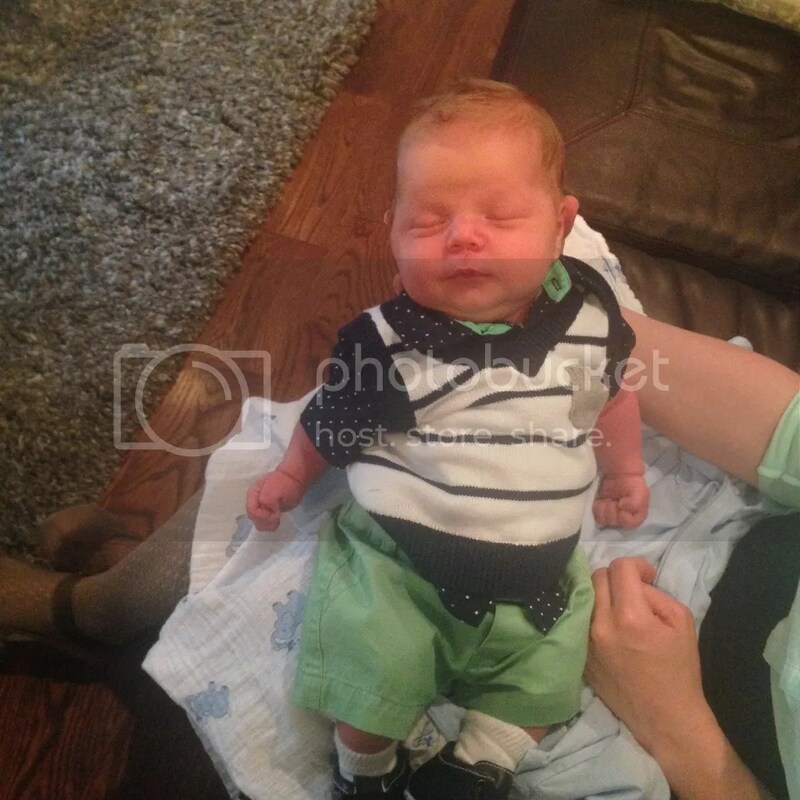 My newest nephew and his wedding outfit could not go undocumented, what a stud! 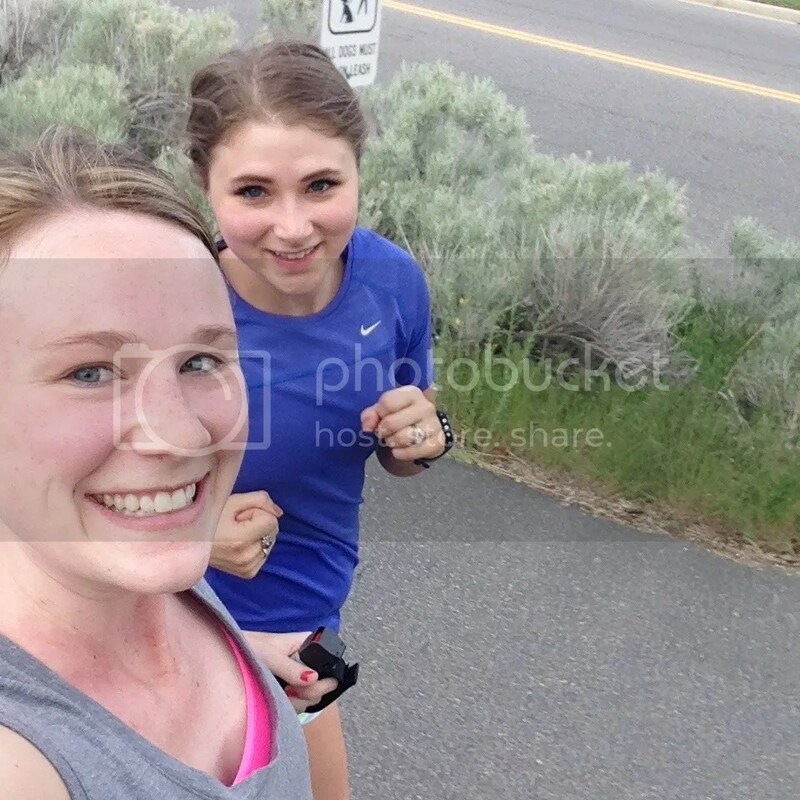 Saturday morning, Bree and I headed out for an early morning run. I felt so good and we only had to walk going up 2 hills. 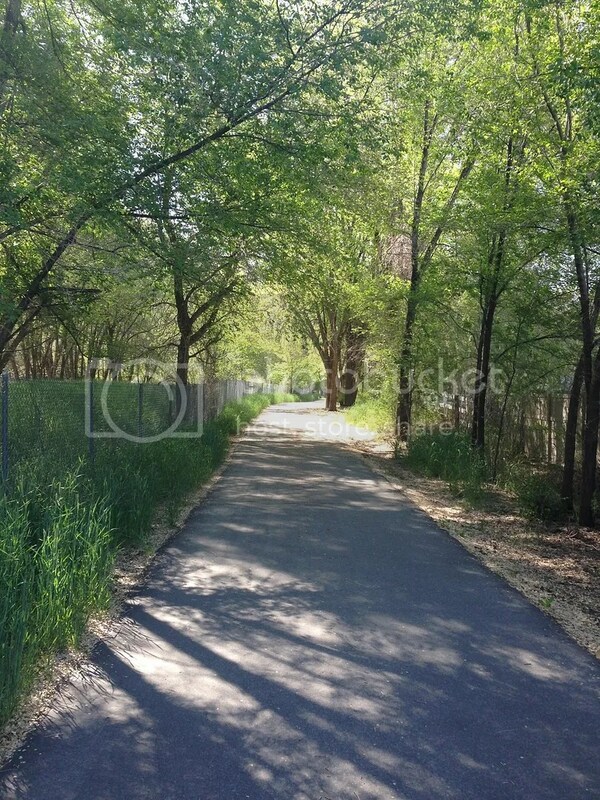 It felt so good to just run and not ache. 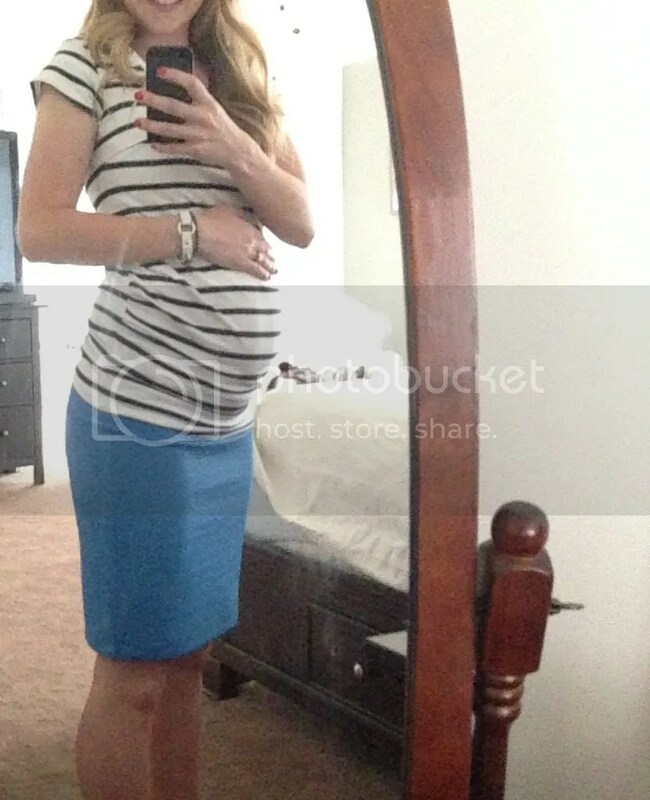 Later on, Josh, J and I headed to the outlets to check out any Mother’s Day sales. There were quite a bit and I ended up getting a couple tops. I wore this one from H&M($10) on Sunday and love it. That night we headed to another family wedding. It was so fun to see family all weekend, and I’m pretty sure every wedding should serve ice cream, peanut butter cookie dough for the win. Sunday after church we headed to my mom’s for a BBQ. She used a mesquite marinade and I’m still dreaming about it. Then we headed to a family friends birthday party. 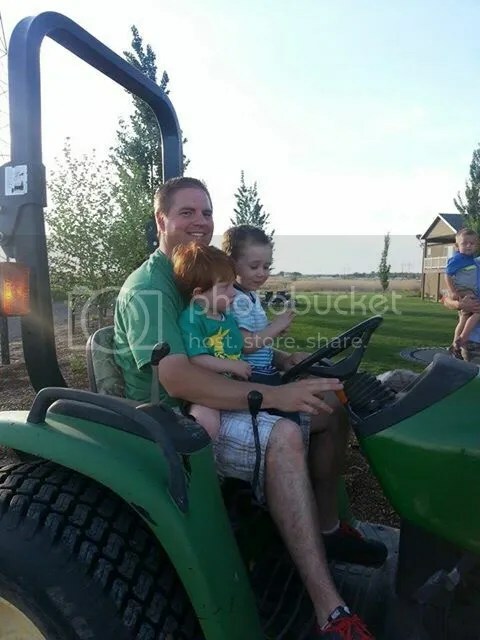 The birthday boy loves tractors so they borrowed one and took all the boys for a ride. J was in heaven all night long. He is still asking when we get to go back. 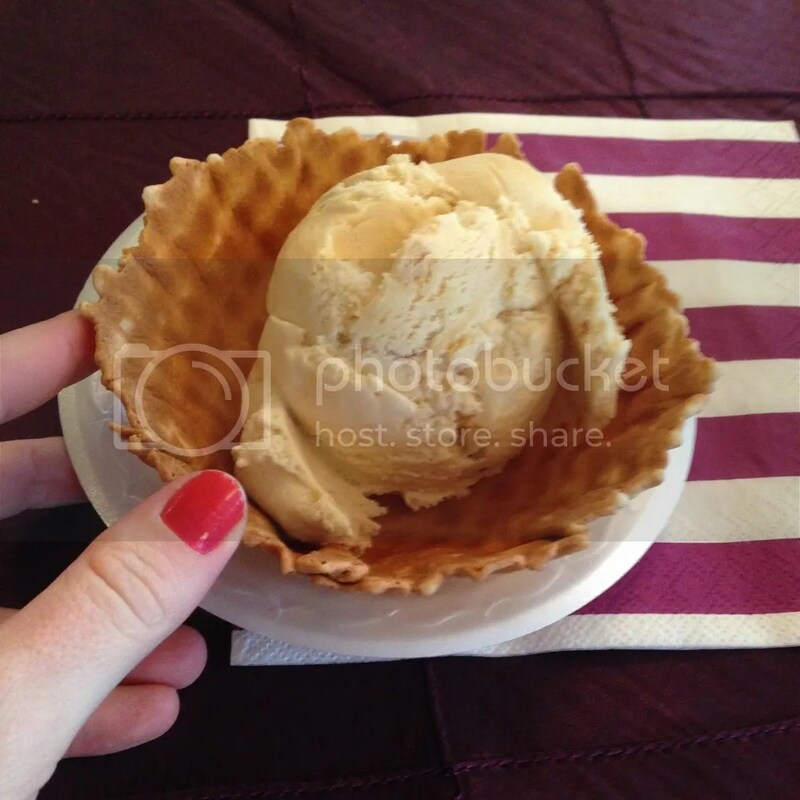 ever had homemade ice cream? 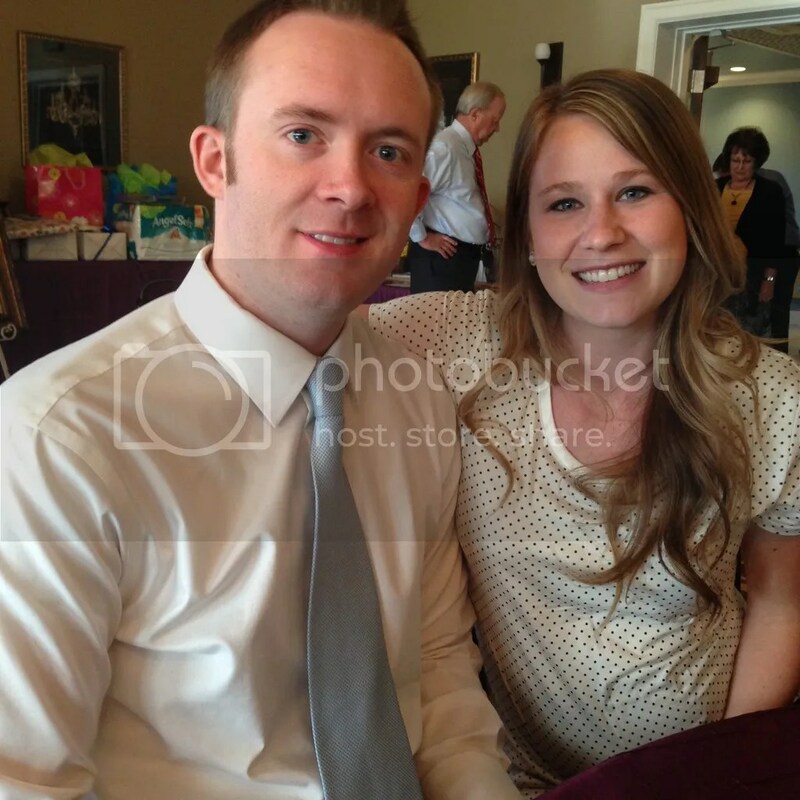 This entry was posted in Uncategorized and tagged family, joel and sarah, jonah bday, weddings, wknd recap, workout. Bookmark the permalink. 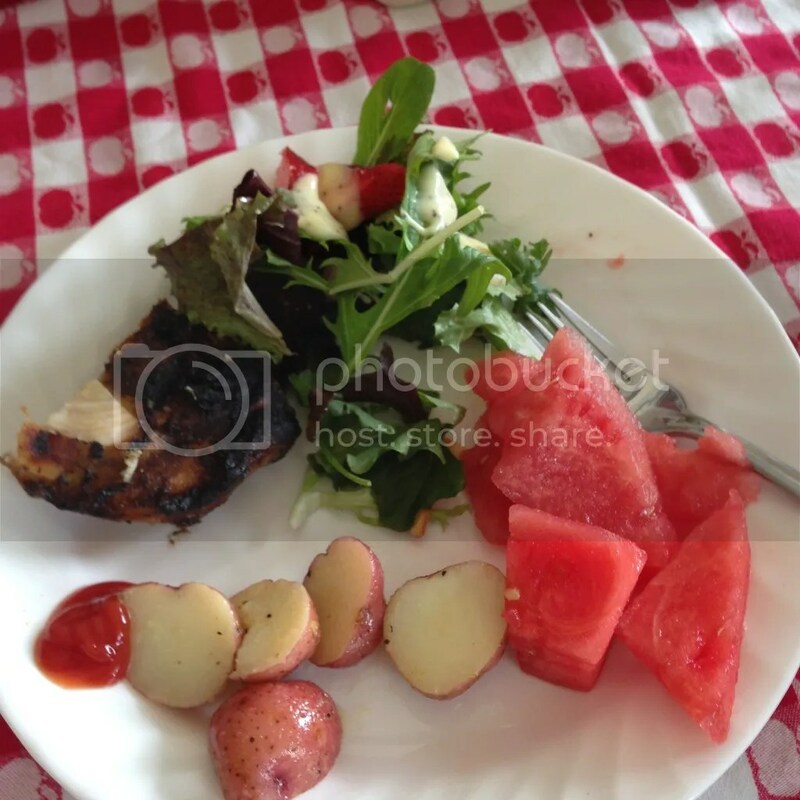 Um, I would document all that food too! It all looks soo good! 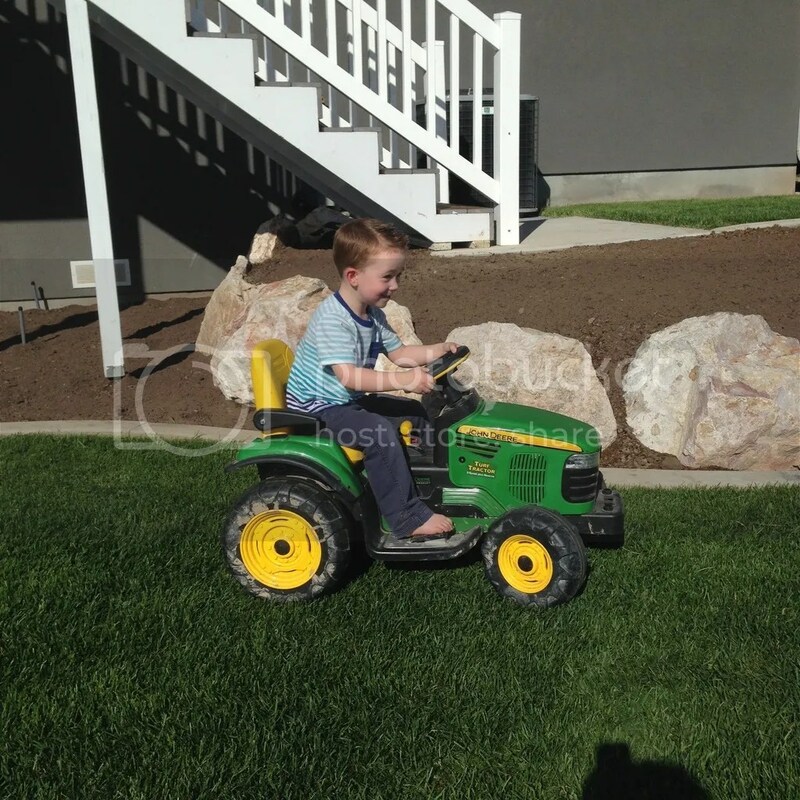 and J riding on his own little tractor – he looks like he’s in heaven haha So cute! looks like a good time! 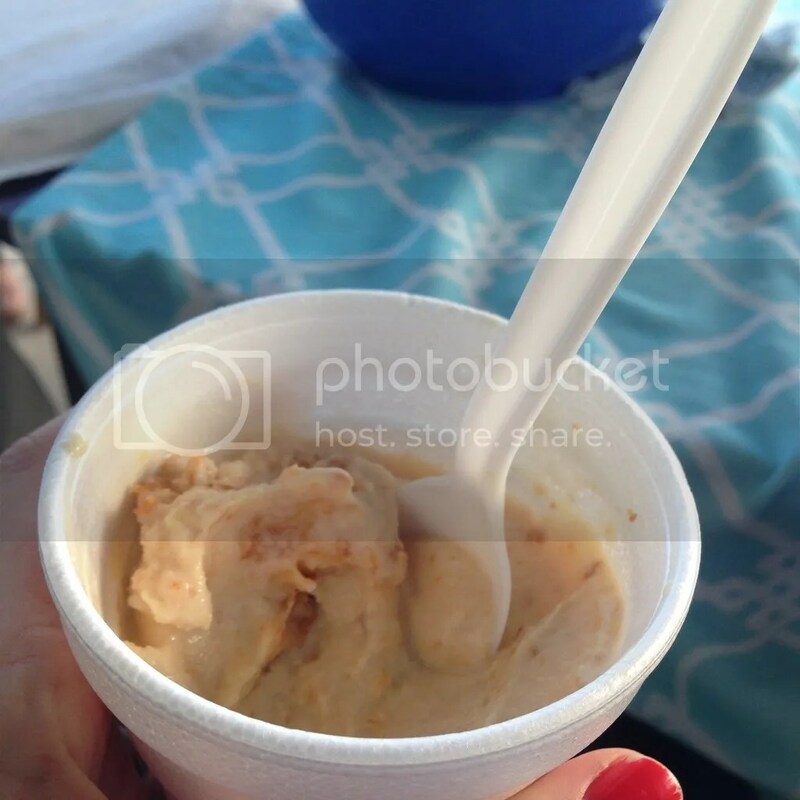 My family use to make homemade ice cream every summer at our lake house…it was the best!